Mahatma Gandhi’s material is now online, thanks to 30 years of research and 600 sources gathered by Berlin based GandhiServe. 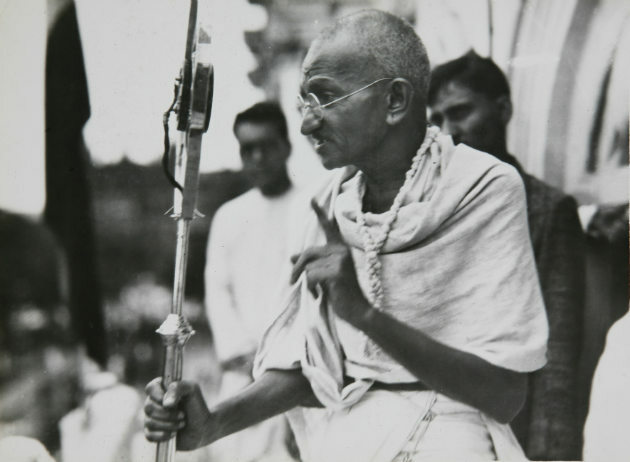 Called GandhiMedia, the digital archive provides access to rare photographs, videos, articles, books and other writing related to Mahatma Gandhi. The collection has over 22,000 items. Peter Ruhe, CEO of about 14-years old Berlin headquartered GandhiServe, which made this GandhiMedia possible, lists its aim as virtually “bringing Mahatma Gandhi to life”. It is aimed at viewing/downloading rare photographs, films, film footage, letters, cartoons, newspaper clippings, documents and art work on Gandhi and India’s independence movement; gathered with research and contributions from scholars and Gandhi’s associates and family members. This is a great initiative by GandhiServe to put the Father of the Nation online. Now Gandhi is just a click away. A few weeks back, material on South Africa’s Nelson Mandela also became available online. The entire archive of documents, photographs and letters of Nelson Mandela have been scanned and made available online for everybody to use. The key difference between Mandela’s archive and Gandhi’s archive is this: Mandela’s archive seems to be free and is available without any watermarks. Gandhi’s archive is heavily watermarked and the initial access seems to be free, but if you want a clearer version, you have to pay some serious money. I can understand this as this is the culmination of 30 years of research by GandhiServe. But making it paid seriously limits the usage. 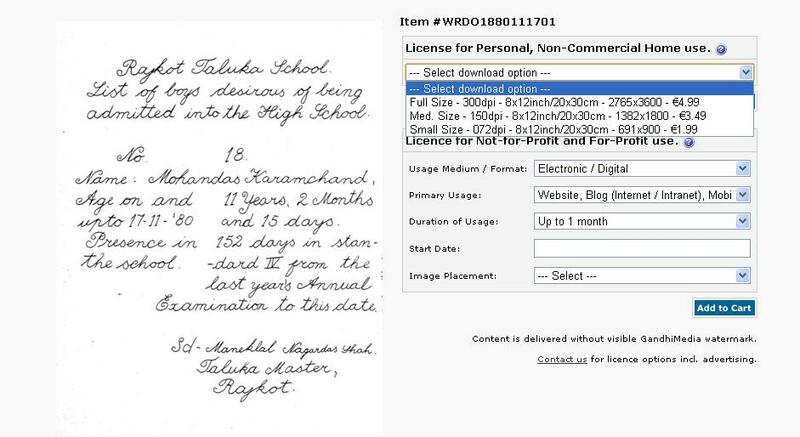 For example, in the image below, what seems to be a school admission document dating back to 1880 is commanding a price of 4.99 euros (US$ 6.65). I fail to understand why. I assume, people who order this will be getting the scanned copy and not the original. Do you see anything that justifies this high price? The same goes for most of the material on the site. Sriram is the Editor in Chief and the co-founder of TheGadgetFan. Sriram writes the Indianomics column at Asian Correspondent. Contact Sriram through twitter: @indianomics or @6sv. Like the website. It has everything we need to know more about Gandhi. Brought to you by the people behind Asian Correspondent and Travel Wire Asia, Tech Wire Asia offers insights and an overview on the technology scene in the region. Our regional staff brings you daily news, views and reviews on the startup scene, gadgets, social media, enterprise software, and green technology. Read more about the Tech Wire Asia team here.